Fate has not been kind to Yoenis Cespedes during the past year. 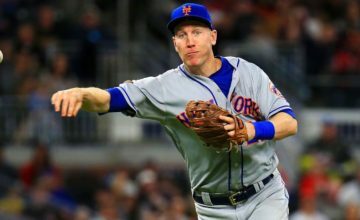 The New York Mets superstar has formerly racked up some outstanding stats and won celebrity status among fans, but multiple injuries and chronic pain in 2018 have taken him out of action for months at a time. 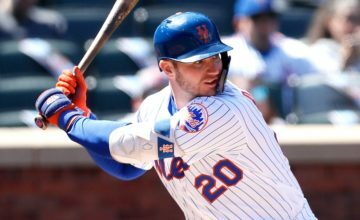 While he’s likely to return to action at some point in 2019, people are asking if he’ll ever be able to play the way he used to, or if the Cespedes we knew is gone for good. In May, Cespedes was diagnosed with strain to his right hip flexor, which ended up putting him on the DL for almost 10 weeks. But, as we now know, that injury was only a symptom of something more serious: bone calcification in his heels. He had surgery on the right heel in August, and surgery on the left one just a few days before Halloween. 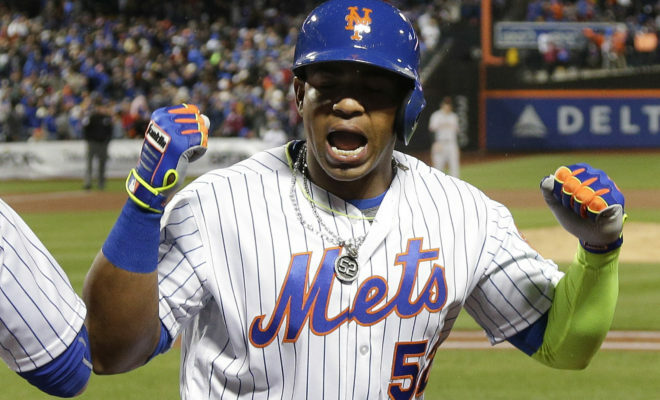 After the August surgery, Cespedes said he was already feeling better. That’s a step in the right direction, but obviously he wasn’t putting his body through the full rigors of training yet. Until he does, we won’t know the whole story. It’s not easy to hit ‘em into orbit like he used to. What we do know is that, in general, multiple injuries and chronic pain are not usually the signs of a player whose best days are ahead of them. According to MSN Sports, multiple experts see the leg problems, together with Cespedes’ advancing age, as career-changing. 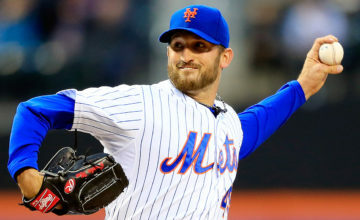 His head’s still in the game, and he’s been doing everything the Mets have asked him to do. It’s fair to say that, if the leg problems can be surmounted, we’ll see a drastic improvement in Cespedes’ performance. Sadly, the safe money points in the other direction. Cespedes has already had a solid run across four major league teams, and the stats say he reached his peak around 2015, batting .287 and delivering an astonishing 44 RBI and 17 home runs in limited time with the Mets. In the 2018 season, he only played 38 games, and he’s on track to miss an unknown percentage of the 2019 season. That’s not a good trajectory. Of course we want our superstars to live forever at the top of their game, but that’s not how the human body tends to work. Cespedes is getting older, and to have injuries on top of that really drains a player’s potential. This isn’t to say that Cespedes’ career is done. Considering his raw power and talent, even a diminished Cespedes will likely remain a pillar on the Mets. And he’s certainly still earning the big bucks. With a contract slated to bring him $29.5 million in both 2019 and 2020, the Mets are going to be looking to get every ounce of Cespedes’ star power and playing prowess once he returns. Part of life is learning to accept the changing of the seasons. If he is indeed a diminished player, Cespedes will probably be quick to admit it and carve out a new niche for himself to fit his reduced abilities. He has a grounded outlook on life, as far as celebrities go. But he isn’t ready to give up on the game just yet, and we’re rooting for him to beat the odds in 2019. Author Bio: Tess DiNapoli is a freelance writer and sports enthusiast who writes about developments in physical fitness, health and wellness. Her work has been featured on the Livestrong Network and SportsBraces.com.